At EVO we believe in looking to the future while also honouring tradition. For our launch camp, we started what we hope will become a piece of EVO legend for all our young players. It is with great honour that we present, the JANNE MÜLLER-WIELAND TROUSERS OF DESTINY!!!! The Janne Müller-Wieland Trousers of Destiny (or "PyJannes", as we like to call them!) are no ordinary pair of pyjamas. Yes, they look amazing with their Minnie Mouse patterning. But that is not all. These PyJannes have a grand history. They were, until recently, owned and worn, after international matches, by members of the Germany women's hockey team, in their own hockey tradition. 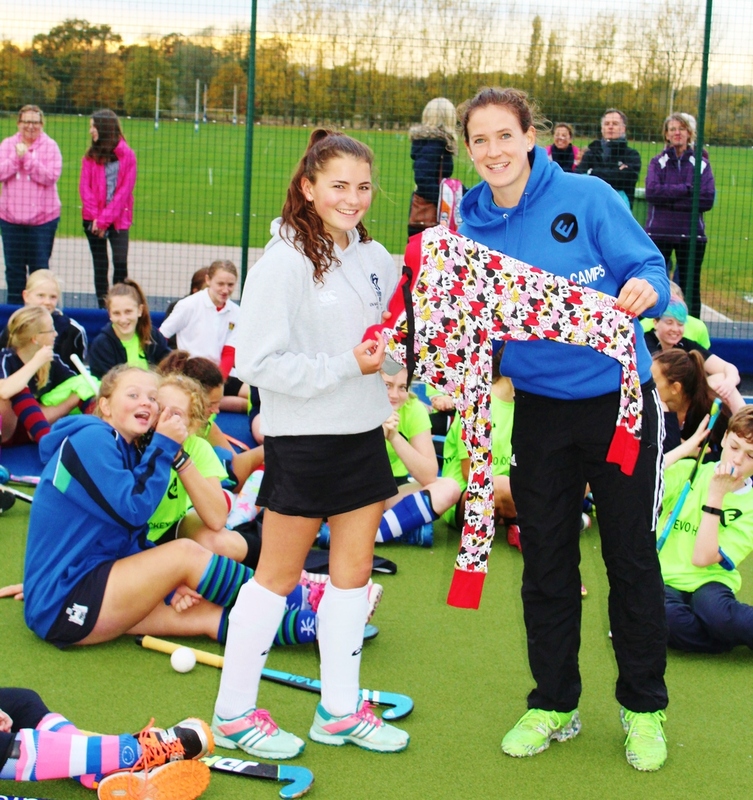 In honour of EVO Hockey's inaugural camp, EVO Coach & Germany captain Janne Müller-Wieland (the last German hockey wearer of the Trousers of Destiny), awarded them to us. 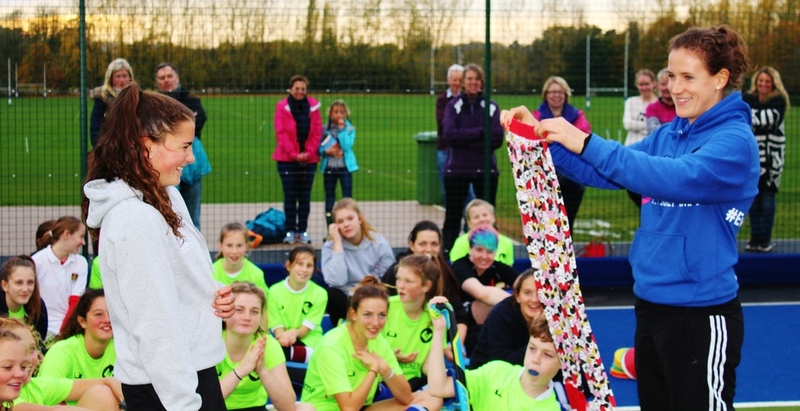 At the end of our camps they were awarded as the overall camp prize to a lucky young player, in recognition of their effort, enthusiasm and passion - in short, their true EVO spirit! That winner becomes the Custodian of the Trousers of Destiny until the next camp they attend - at which the trousers are passed on to the next winner. First ever EVO Hockey recipient of the Trousers of Destiny & official Custodian of the Trousers of Destiny until the next camp.